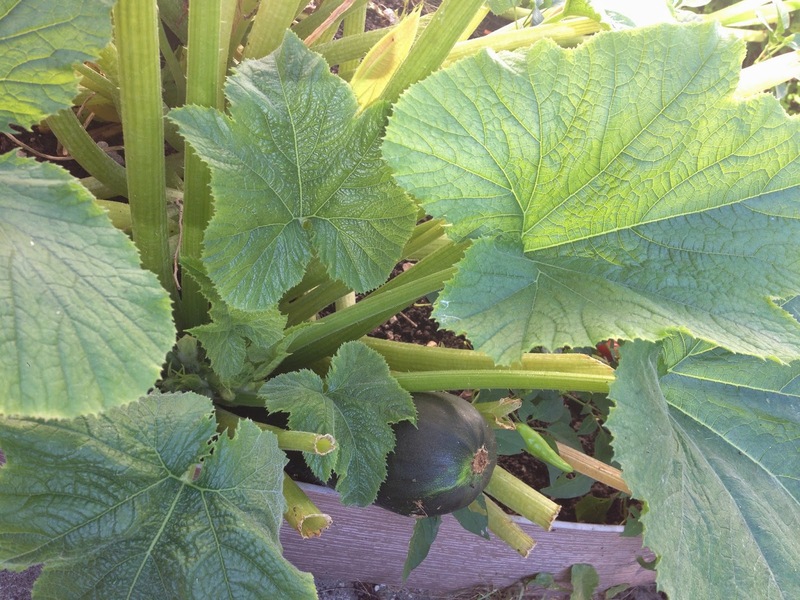 I have two big an beautiful zucchini plants in my backyard farm. They almost died last week when they came down with this gross powdery mildew disease. I was forced to cut most of the leaves away. I was afraid I had killed it but the next day, the few, healthy leaves that had made the cut (excuse the put), were greener and stronger than ever. I guess they were just hiding in the shadow of the bigger diseased leaves, waiting for their chance to shine. I guess I could've just cut down the whole plant and started fresh next year. After all, I've been very fortunate with my zucchini harvest this year. I've been eating from it for well over a month now and have so far cooked zucchini bread (both savory and sweet), grilled zucchini, zucchini fries, zucchini parmesan, and pasta with tomato-zucchini sauce. And yet, despite a few bad apples (or this this case, bad leaves), they continued to grow. I felt that if they were going to insist on continuing to grow, it was my job to help them out in whatever way possible. 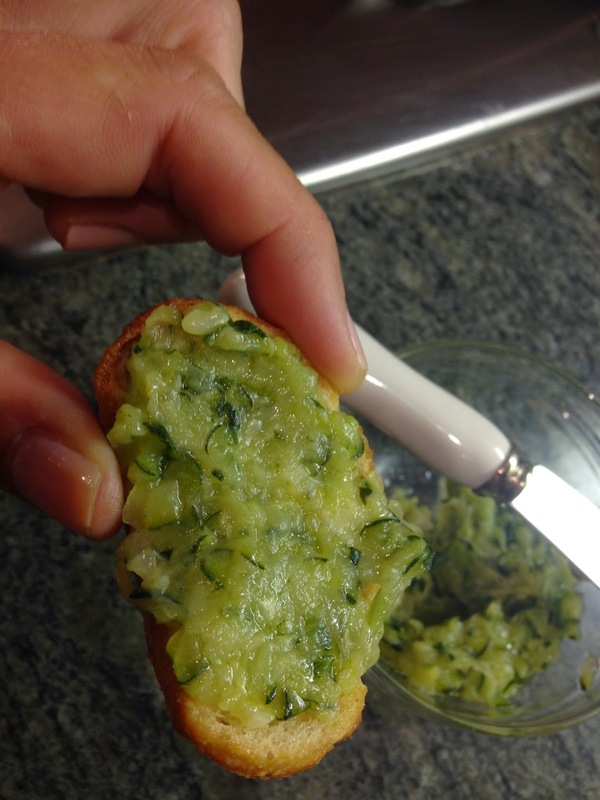 I was rewarded for all of my hard work with what turned out to be the sweetest zucchini I've eaten all year that I made into the most amazing zucchini recipe I've made all year, courtesy of my friend Lisa. ﻿﻿1. Add in the zucchini and garlic and a few shakes of salt and stir around. doesn't stick.2. 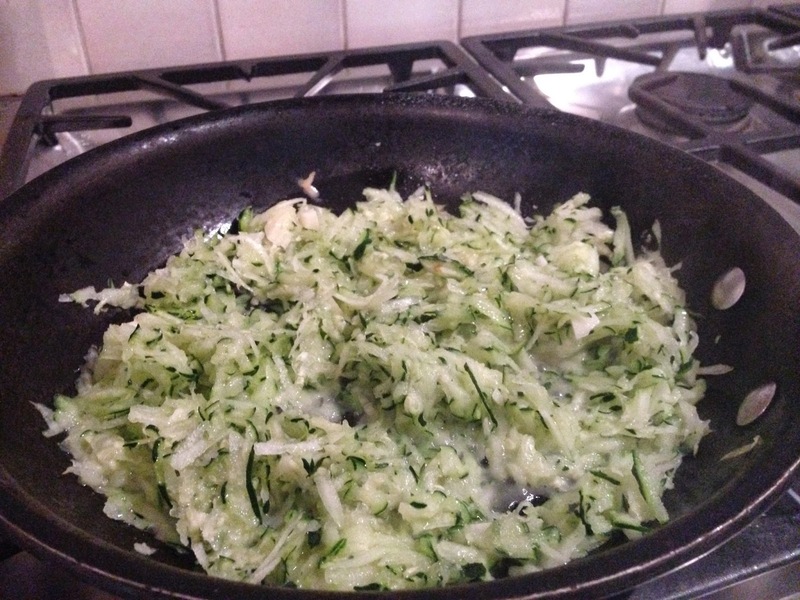 After about 20 minutes or so, the zucchini should be soft and silky and sweet...but not mushy. If it looks like it's getting to dry before this point, add in a bit of water. 3. Season to taste and serve with French bread or pita crisps or anything else you think it would taste good on. It will last in the fridge for up to a week. But really, it is so good, I don't think it'll last in your house for more than an hour.